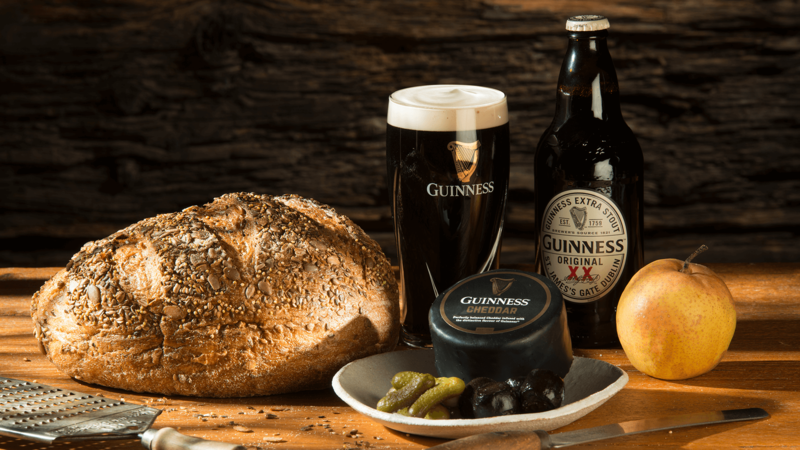 Having secured a brand license from Diageo to produce GUINNESS Cheddar, we were asked by our client to launch a product to market, with food connoisseurs, cheese lovers, beer aficionados and on-line shoppers in mind. 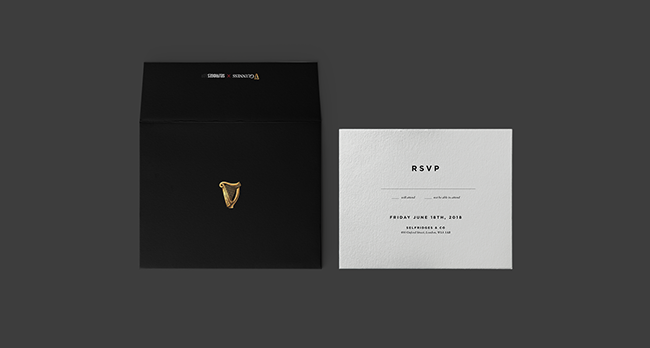 We decided to build everything from the ground up, tell the story, and create an entire marketing suite that would appeal to those who love to drink GUINNESS and are part that brand world, but also, encourage food lovers in general to taste, cook, share and enjoy a cheddar infused with the distinctive taste of GUINNESS. 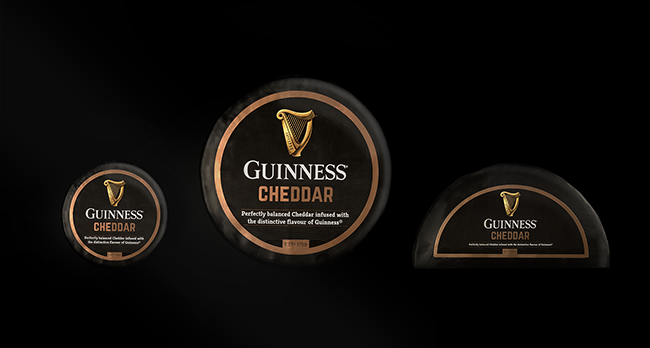 In just under six months we launched Guinness Cheddar into retail. Since then, we’ve been busy developing the go-to-market strategy in the US, launching websites, commissioning retail experiences with Selfridges London, designing products, social experiences, photography, brand aesthetics and making films. For the GUINNESS Cheddar marketing suite, we collaborated with our brand & design agency THE FULLL ENGLISH to develop brand codes. Our design codes allowed the team behind GUINNESS Cheddar to to share their story, explain the vision for the product and showcase the brand to some of the key buyers in UK retail, now listed in major supermarkets across the country. For the US we had to adapt the rules, ensuring the success of the product in the US Grocery market where it launches this Autumn. 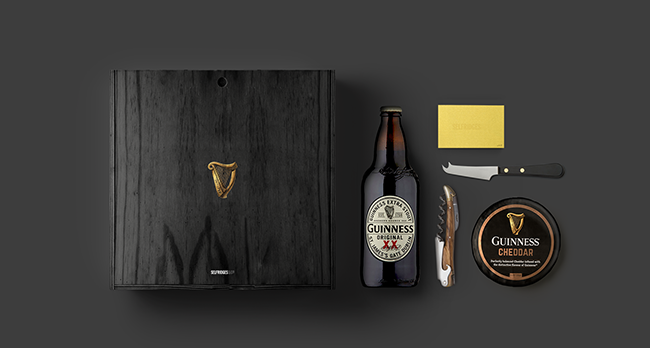 Our Design, creative, digital and marketing experts came together to design a brand with the Heritage of GUINNESS in mind, built for a whole new type of food lover and retail customer, with digital and physical purchase in mind. 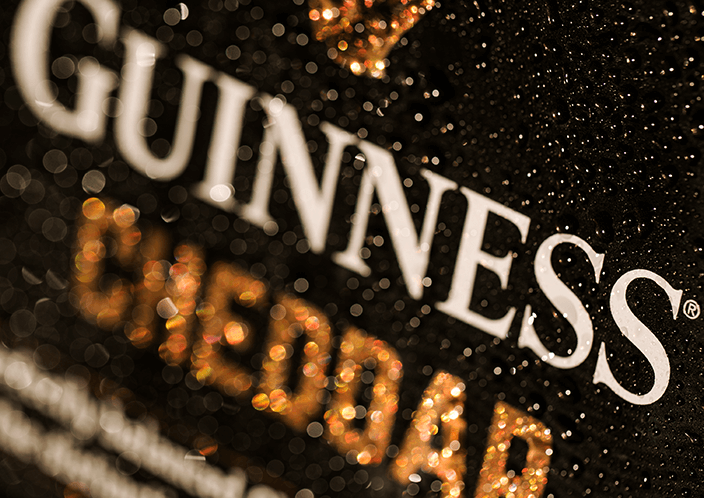 GUINNESS CHEDDAR has a unique proposition – one that could not easily be bottled down into a traditional narrative or indeed marketing suite environment, purely because there has never been an official GUINNESS Cheddar. Our solution had to be as interesting as the brand’s story, and as versatile as the diverse customers, creative partners and retailers we wanted to attract. The dairy and cheddar market exist to sell identical products, using brand, flavour,and price and discounting to compete for retail space and customer success. As consumers look for brands with depth, authenticity, stories and flavour, there had never been a better time for the GUINNESS story to grow into this space. We needed to promote and sell a broad range of products, and remain true to the GUINNESS story, Importantly we had to convince shoppers that the product, range and brand was premium, delicious unique and remained true to the unique flavour of GUINNESS, and with the recent upsurge in the art of creative brewing, we had to appeal and be relevant to that market across all genders. 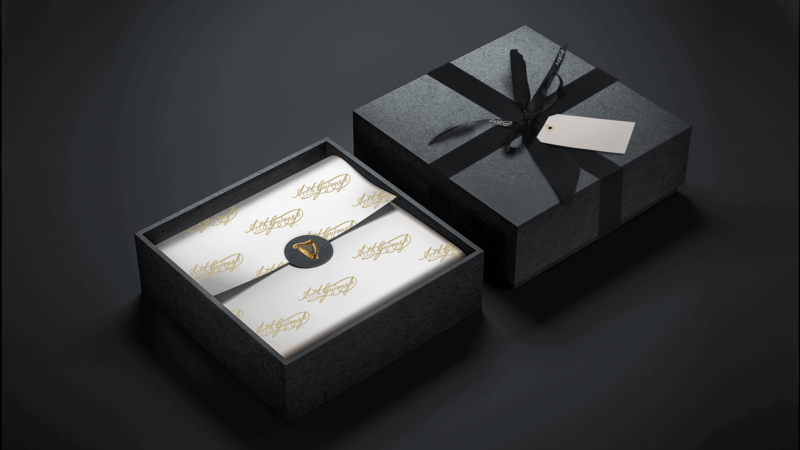 We developed a sprint strategy and visual roadmap that ensured the GUINNESS DNA, brand and label remained at the fore of the product offer, whilst at the same time promoting the provenance and flavour profile across the entire marketing estate. Positioning the launch as of one of the most important cheese products to ever enter the marketplace, we create a number of visual and product experiences in Selfridges London, reinforcing the brand as an icon of taste, touch and timeless design that resonates. That freed up our plan to tell a bigger story. GUINNESS is made of more. Our plan had four core components: a bespoke website and digital offer, a promotion with the worlds leading department store, devise a unique range of product sku’s tailored to each retailer and a bespoke presentation formula; with one beautiful narrative that stretches across all four. Back to all of our work?